Peter Capaldi ist der zwölfte Doctor - so viel steht fest. Seinen ersten Auftritt wird er im Weihnachtsspecial haben, in der die Staffelübergabe von Nummer elf (Matt Smith) auf Nummer zwölf stattfinden wird. Was sagen seine Kollegen und Whovians auf der ganzen Welt dazu, dass die Wahl auf den Schotten fiel? Twitter ist erwartungsgemäß quasi implodiert. WOW! My *FAVORITE* British actor PETER CAPALDI - the W.H.O. Doctor at World War Z - becomes the next DR. WHO! Thrilling, moving, beyond exciting. Cometh the hour, cometh the man! Peter Capaldi is the PERFECT choice. Welcome, Doctor! Secretly hoping that Peter Capaldi plays Dr Who in character as Malcolm Tucker. Might have to broadcast it after 9pm. Congratulations to Peter Capaldi and to the BBC. Another splendid Doctor! Congratulations to Peter Capaldi on being cast as the new Doctor. Looking forward to seeing him in the role. Who's now watching everything on Netflix with Peter Capaldi?!! 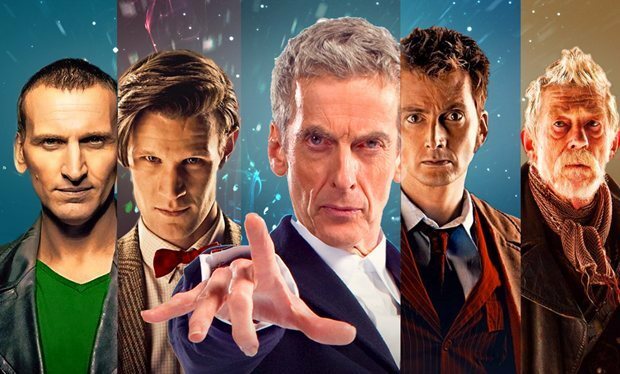 @peterrrcapaldi Yes, but excited to see who's next and Peter Capaldi is an exciting choice! Hugely excited about Peter Capaldi as the new Doc Who! Bring it on! Not sure "who" Peter Capaldi is, but I'm gonna "Tonya Harding" his legs so I can be the new #DoctorWho. Das waren ein paar der ersten Tweet-Reaktionen - natürlich ist das Konto der Queen ein Fake-Account, allerdings ein sehr lustiges.